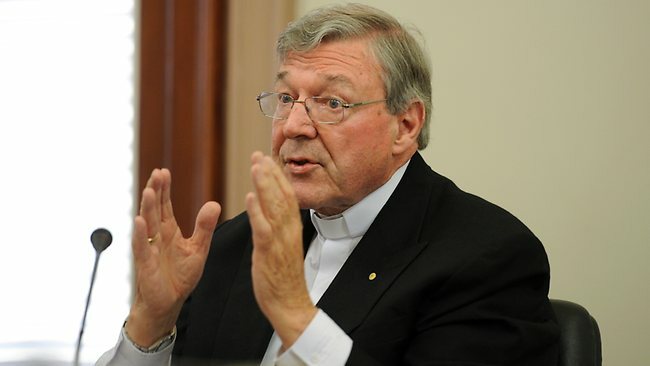 Last night His Eminence George Cardinal Pell delivered the Annual Lecture on Religious Liberty at the University of Notre Dame. He was a pleasure to listen to, as always. Todd Johnson, an expert on Christian demography with the World Christian Database, has estimated that there were 100,000 new Christian martyrs each year between 2000 and 2010, many from the Sudan and Congo. Citing Johnson's research, Italian sociologistMassimo Introvigne has claimed that a Christian is killed every five minutes. A special commission established as part of the Church's preparations for the Great Jubilee of 2000 arrived at a lower estimate than Johnson. It concluded that were perhaps twenty-seven million Christian martyrs in the twentieth century, making up "two thirds of the entire martyrology of the first two millennia". However the estimates might be drawn up, it seems clear that more Christians were killed for their faith in the twentieth century "than in the previous nineteen centuries combined." Recently at Sydney University, a pro-life group founded Life Choice, a society to promote discussion around abortion and euthanasia. For such a group to be affiliated with the Student Union and receive some funding, they are required to hold an initial meeting with at least twenty members and then make application. Their first application was denied by a subcommittee because such a group would not enhance student life! An appeal against this exclusion was made to the full Student Union board and the Life Choice group won affiliation by one vote. Two details are interesting. Professor Peter Singer, the Australian philosopher from Princeton University, intervened to support the right of Life Choice to affiliate; and one of the Student Union opponents proclaimed that a woman's right to choose abortion comes before freedom of expression. Here we have a glimpse of the future. Protections, not exemptions. Federal and state anti-discrimination laws usually include a range of "exemptions" or "exceptions" for religious organisations (and other groups). The purpose of these exemptions is to protect other rights, but the language of exemptions creates the impression that they are simply concessions or special permissions to discriminate granted by the state for political reasons. This is completely misleading and helpful to no one, except those who want to misrepresent the situation and remove protections for religious freedom. The language of exemptions should be replaced with the language of protections, clearly identifying the human right that is being protected.